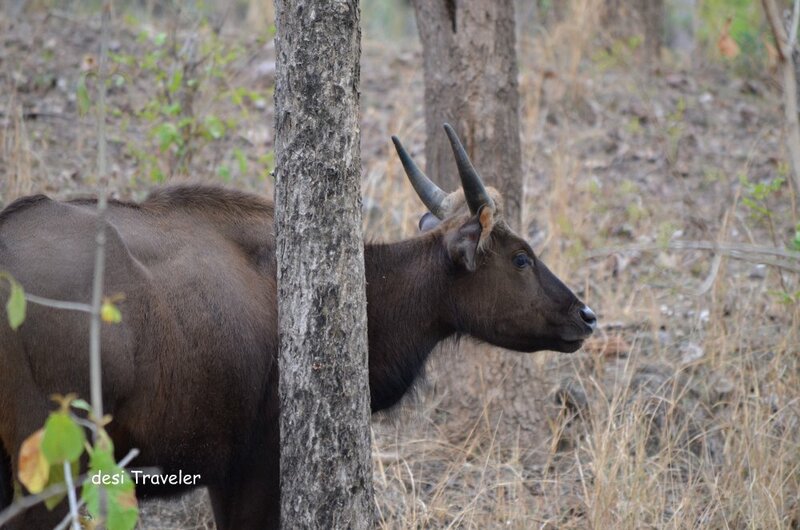 For this week’s Travel, Tuesday Pictures let me share some wildlife from Pench National Park that I visited some time back. 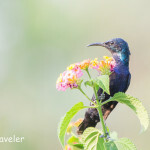 Please don’t expect anything exotic in the post as I am one of those photographers who are happy to click the normal day-to-day birds and animals also. 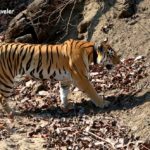 Like most tiger enthusiasts, when I wrote the last post about Pench National Park and Tiger Reserve, I just talked about the female tigress who had cubs with her and totally ignored the other flora and fauna of the park. 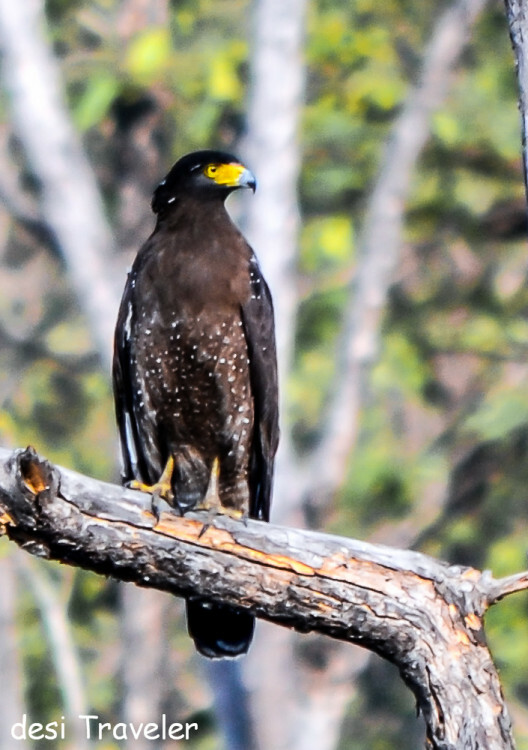 Well, the flora will have to wait let me give some of the birds and a few other animals that I clicked in Pench in summer. 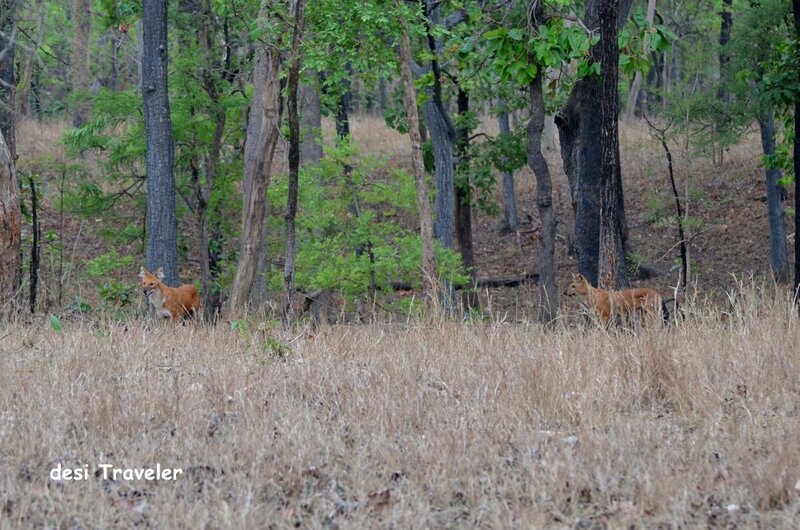 I like Pench a lot as it has a large lake in the backwaters of the dam where hundreds of deer collect in the evening to munch on the juicy grass, and the tigers lurk for some action. 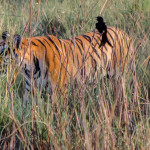 But as this post is not about big cats let me share some of the pictures of the birds and mammals that I clicked there. 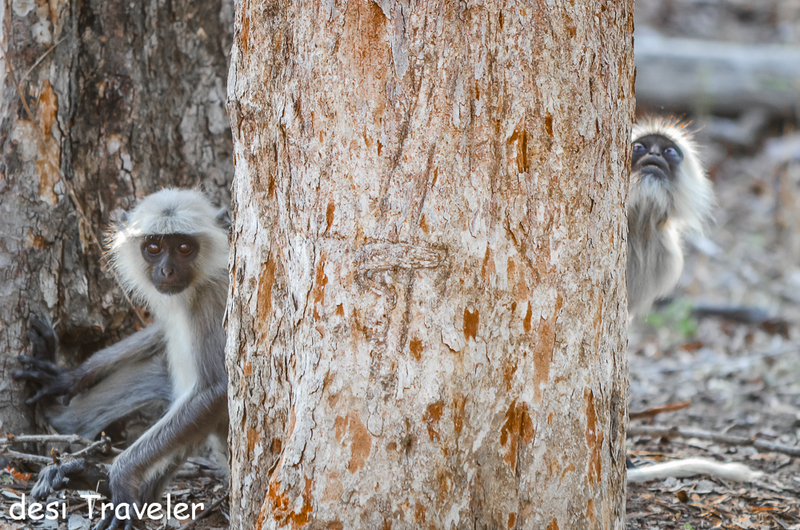 My personal favourite is this Hanuman Langurs who were looking at me from behind this large tree trunk, ready to vanish in the thick jungle at the slightest hint of any danger from my Nikon D7000 and the basic 55-300 lens that I use for wildlife. Most serious wildlife photographers will not enter a forest without a 400-600 mm lens, but yours truly is still away from that privilege. So I do not try to take the pictures the guys with big lens take, instead I focus on what I call wait and watch pictures. 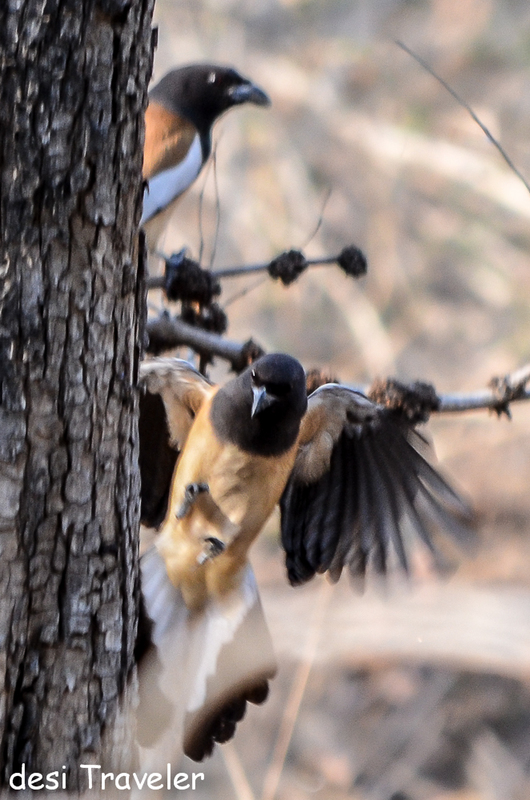 I just watch the action and click only when something happens close enough for my 300 mm lens to capture and try to capture as much of habitat as possible. 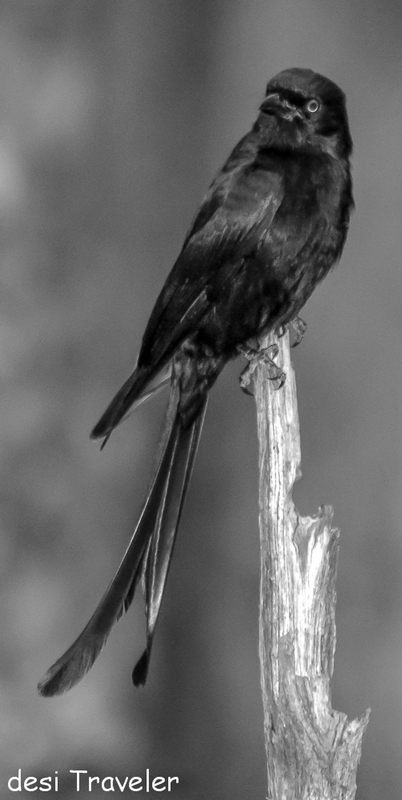 This image below is of one of my favorite birds the drongo the Dabangg, they are known to take a fight with birds twice their size and will attack anybody coming near their nest. But my best sighting was of these wild dogs ( Cuon alpinus) who were getting ready to start a chase of a group of Cheetals and were keeping an eye on the movement of the herd. We could not see the action as soon it was time to leave the park as the sun was about to set. 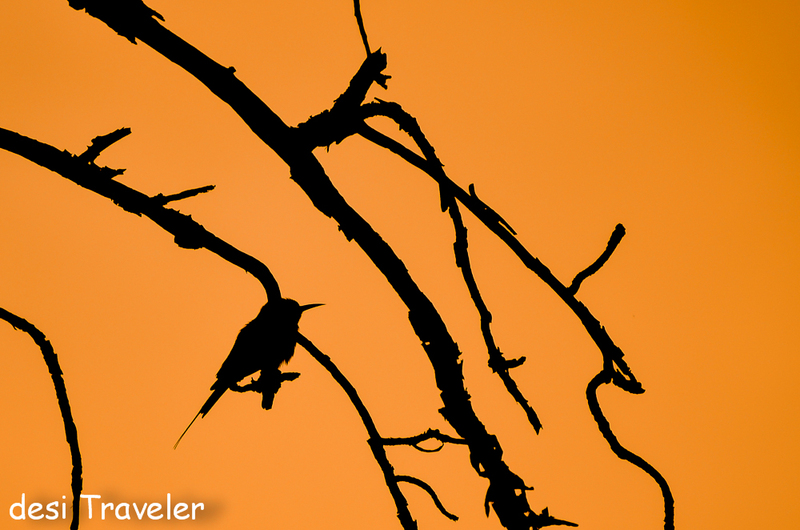 But not before I got some pictures of Bisons and the mysterious Kala Pahar in Pench National Park and this beautiful Green Bee Eater against the sunset. 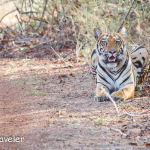 How to Reach Pench National Park : Pench National Park is situated in Seoni and Chhindwara districts of Madhya Pradesh in India. 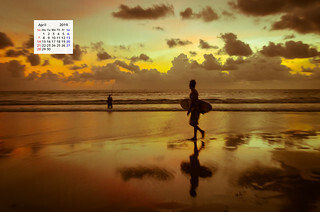 Nearest Airport and Railway station Nagpur in Maharashtra and is about 2.5 hours away. 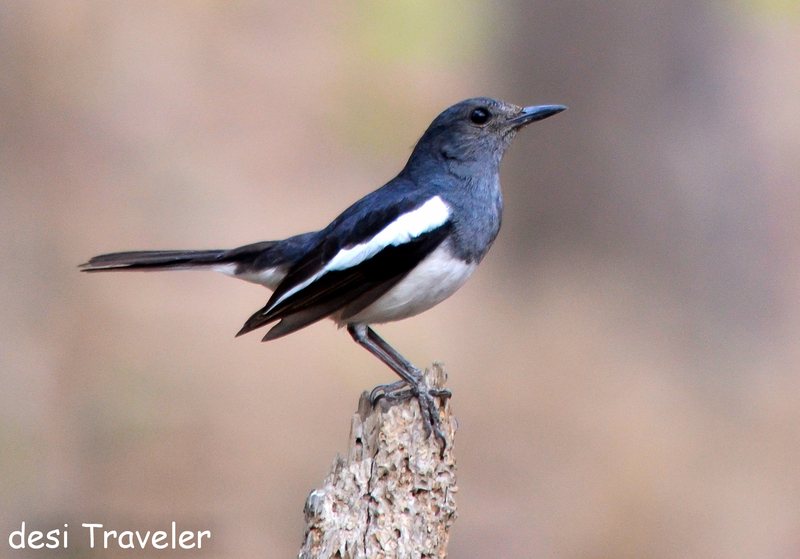 Best time to visit Pench: For seeing wildlife, you should go in the hot months of April to June, though the weather is better to visit post monsoons from October to February. The park remains closed for Monsoons. If you have liked reading the post please feel free to subscribe by email and like it and share it with your friends on Facebook, LinkedIn, twitter and Google+ to get regular updates. 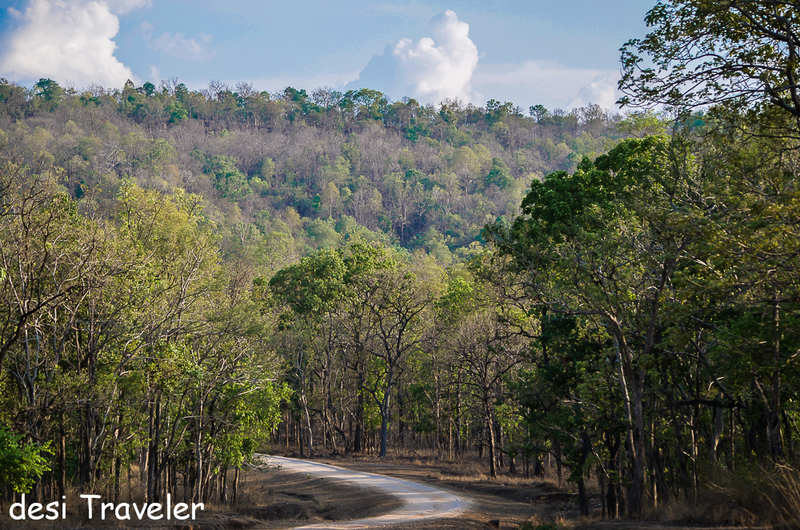 I found the Pench Maharashtra side much more peaceful and quiet than the MP side. Which side di dyou visit? 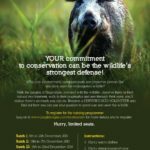 I have been to Tadoba in Maharashtra and the Pench in the MP side, they are all in continuation and single forest if you remove state boundaries. 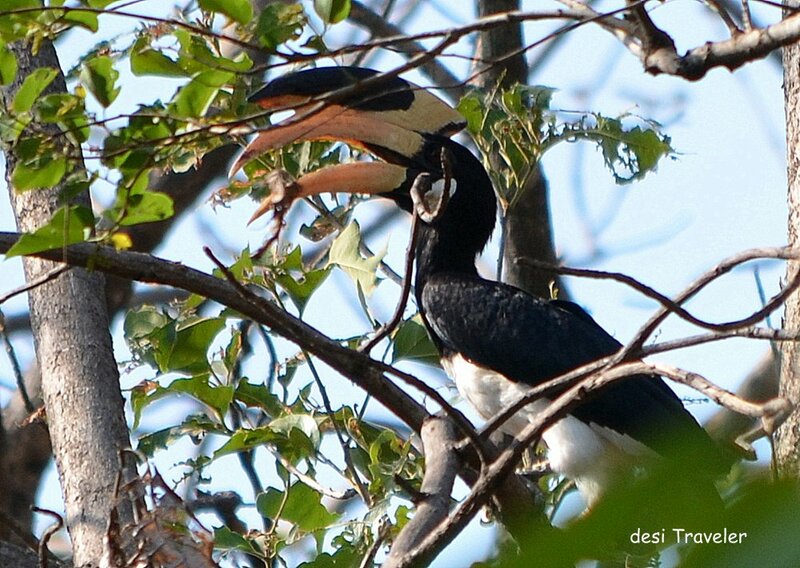 Thanks Bikram…our country is full of beauty, specially in wildlife parks.